Saturday night in Lethbridge, Alta. Marc Habscheid became the eighth head coach in Western Hockey League history to reach 500 wins. With the data available now to catalog a coach’s all-time record, the news wasn’t surprising to most. That is unless you’re Marc Habscheid. “I honestly had no idea,” said Habscheid about the milestone win. After congratulating his team on their nail-biting 6-5 win against the Lethbridge Hurricanes, the legendary WHL coach turned to leave the locker room only for his players to call him back and present him with their Player of the Game hat and the game puck. Along with a photograph to document the historic moment, Habscheid returned the favour to his players with his thanks and an all-expenses paid trip to the local Dairy Queen. In Habscheid’s mind, Saturday was just another win, his team’s league-leading 45th of the season. 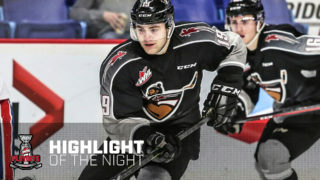 A spot in the 2019 WHL Playoffs already secured, the Raiders are primed for a strong run they hope lasts deep into the spring. Habscheid has done both while with the Raiders, joining the team ahead of the 2015-16 WHL Regular Season. 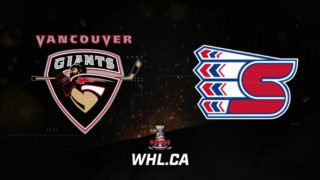 Before that, the Raiders had gone through a lean run, not making it past Round One of the WHL Playoffs since an appearance in the Eastern Conference Championship in 2005. With a former WHL coaching opponent in Curtis Hunt now the General Manager, the pair have brought the Raiders back into the spotlight. To share the credit is in Habscheid’s nature. Starting with former Kamloops Blazers General Manager Stu MacGregor, Habscheid rolls through a long list of names, everyone from trainers and general managers to goalie coaches and former players that were there to help him win the games, bringing him closer to the historic achievement. “It goes on and on,” said Habscheid of those who have helped him. “I’ve been lucky to have good players here so that’s the way it is. As humble as Habscheid likes to be when discussing the moment, there’s no discounting its importance. A feat accomplished by only seven WHL head coaches before him, Habscheid’s name is now in the group that has last names like Hay, Hodge, Nachbaur, Molleken, Williamson, McLean, and Ginnell among them. Still young at heart at 55-years-old and well into his second decade of coaching in the league, the Swift Current, Sask. product has already won it all once before. He has a WHL Championship to his name in 2003 and a Memorial Cup in 2004 with the Kelowna Rockets. As the WHL Coach of the Year in 2003, Habscheid played a strong role in elevating the status of the Rockets’ organization. 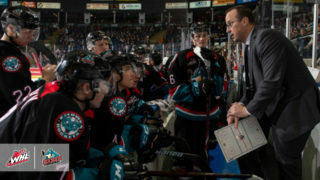 Hamilton reminisced about the challenges facing the Rockets at that point in the team’s history, who had no problems winning in the regular season, but suffered through six-straight seasons of Round One exits in the WHL Playoffs. 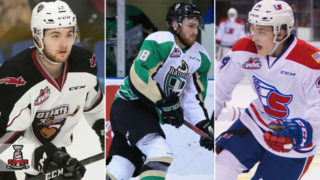 Habscheid was there for two of them before the team went to the Western Conference Championship, won a WHL Championship, and a Memorial Cup in the span of three seasons. 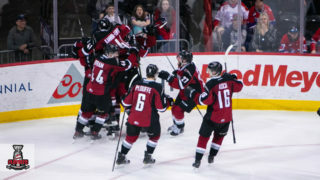 From then on, the Rockets’ have been held up as a prime example of a winning culture in the WHL and entire Canadian Hockey League. “In Marc, it’s discipline and we needed that,” added Hamilton. “When he came here, our players needed that and he instilled that and then he instilled that in my mind some pride in our team and playing in this building. 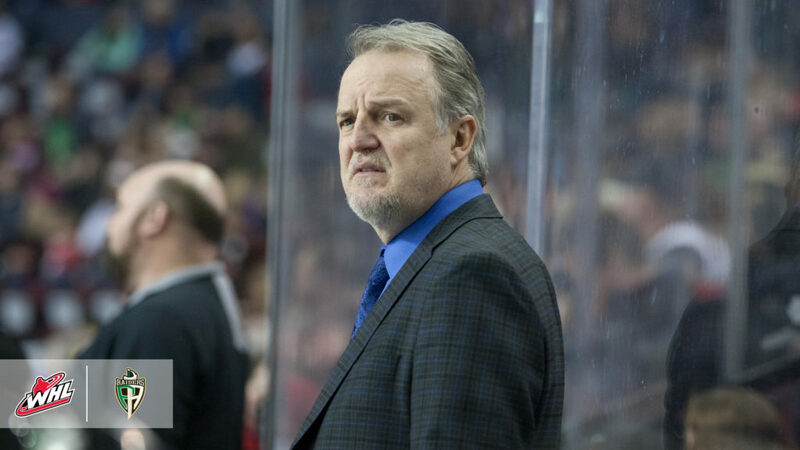 Even with reaching the 500-win milestone, there’s been no change to Habscheid’s future plans. 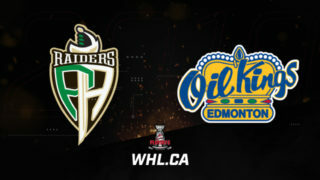 As for win 501, that can come in Habscheid’s home town of Swift Current tonight as the Raiders will look to wrap up a string of four-straight games on the road with another win, which would extend their winning streak to five games. He shares similar feelings when asked about Don Hay’s iconic record of 750 wins in the WHL. Whether it’s win 500, a Wednesday date in Swift Current or a raucous Friday night at the Art Hauser Centre it’s just another game for Habscheid to put his best foot forward and he wouldn’t have it any other way.